Checkout This Groundwater Virtual Lab! CLICK ON THE IMAGE TO START! 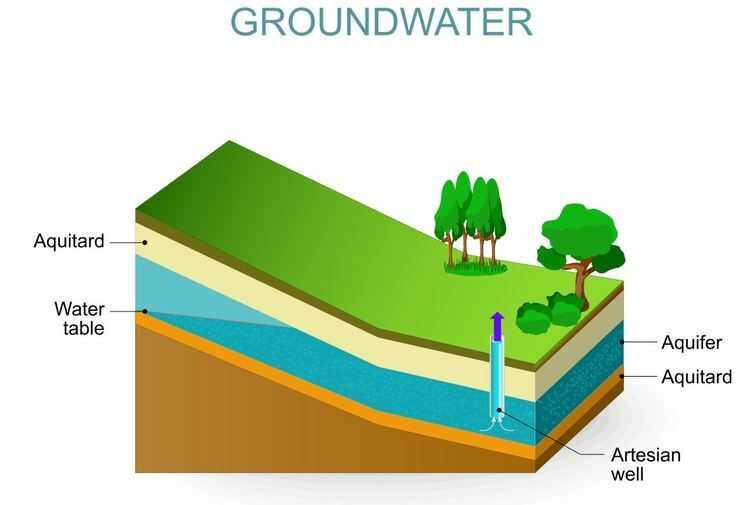 ​ Groundwater is water that moves through soil and rocks below Earth's surface. When groundwater moves through soil, the structure of the soil affects its movement. Water that lands on soil from rain or other sources, gets absorbed (taken up) by the soil. When a soil absorbs water, the water can become temporarily trapped in the interstitial spaces (spaces between the soil particles) of the soil. "Absorbance" in soil science is the ability of water molecules to cling to the soil particles. This phenomenon is due to water's natural ability to adhere to certain surfaces through capillary action. Groundwater moves through interstitial spaces (pores) between individual particles of soil particles. Percolation is the movement of water within the soil's interstitial spaces or pores. Larger the interstitial spaces in the soil, means more percolation! The larger the interstitial spaces, the higher the rate of water moves into and through the soil. 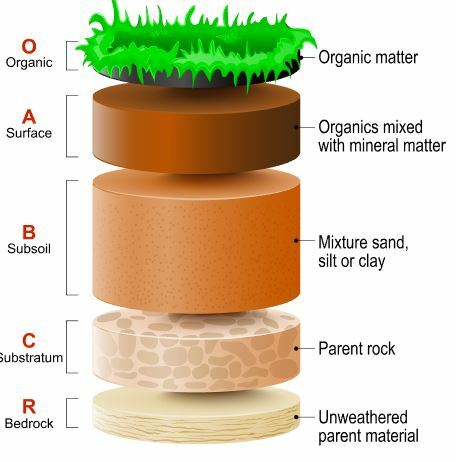 Different types of soil create larger pores than others. 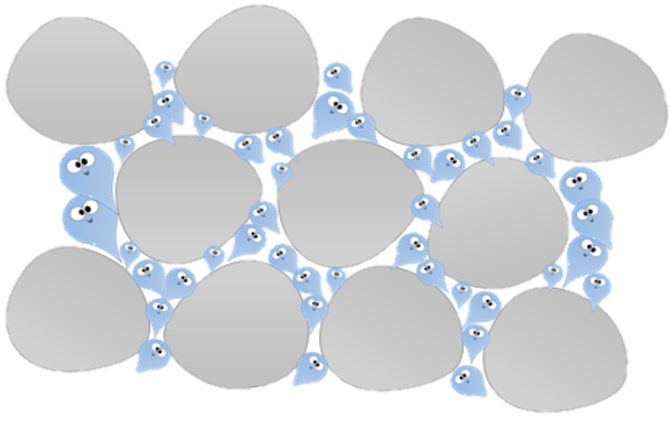 The property of soil having pores is called POROSITY. ​ Porosity depends on the number and size of pores in soil. We can measure the porosity of a soil sample by measuring the volume of water the soil is able to hold in its pores. The volume of pore space is calculated as the volume of pore space divided by the volume of soil tested and is given as a percentage. 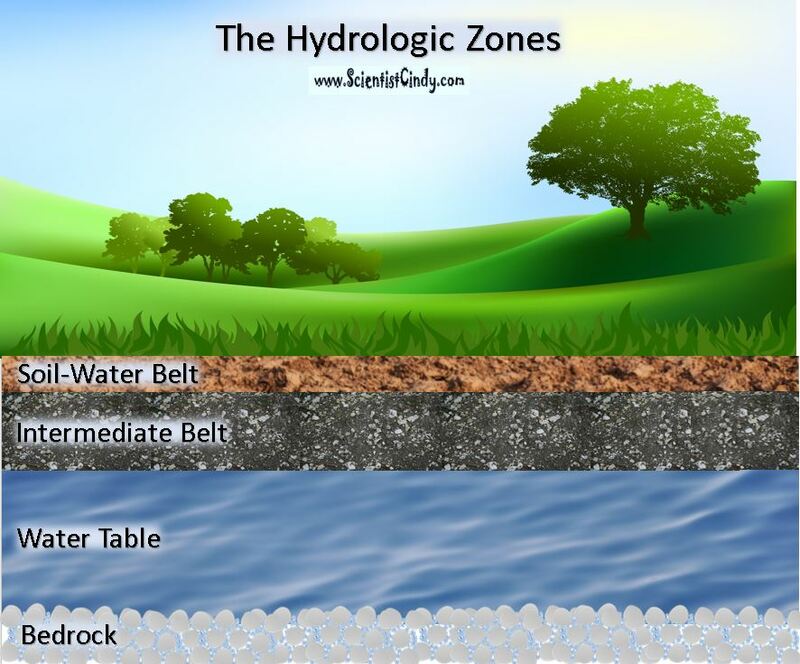 A soil with high porosity can hold a lot of water, but it takes longer for the water to enter all the pores. This means that when a soil has higher porosity it has lower permeability. ​ Environmentalists are concerned with porosity and permeability when there is a risk that a pollutant might be introduced into the groundwater supply. 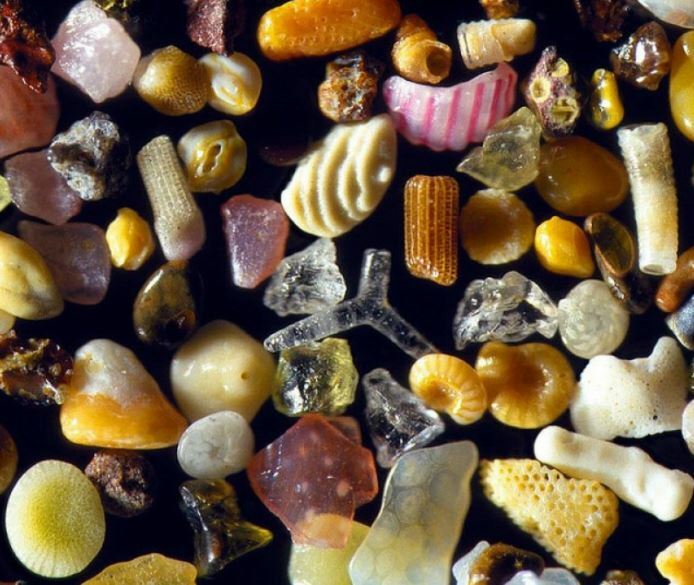 ​​ Sand particles can be seen with the naked eye and range in width from 0.05 to 2.00 mm. 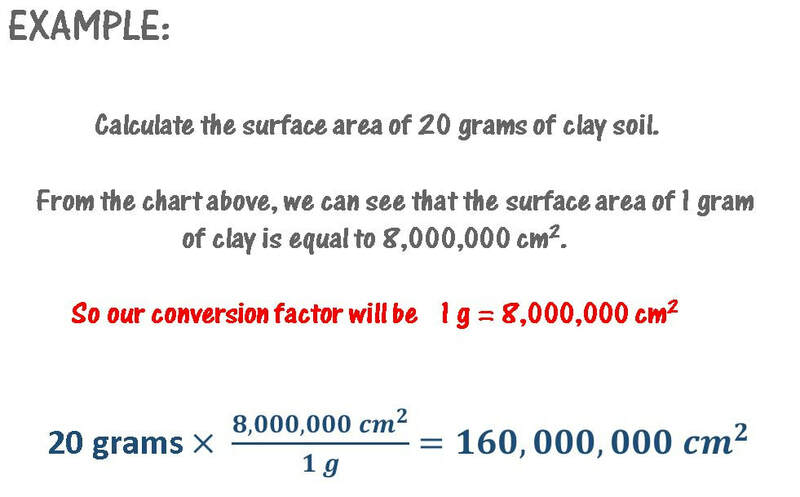 Silt particles are between 0.002 and 0.05 mm in width. Clay particles are less than 0.002 mm wide. ​ Clay particles are less than 0.002 mm wide. Groundwater returns to the Earth's surface through these aquifers, which empty into lakes, rivers, and the oceans. As water moves it absorbs sediment and nutrients. The water cycle involves many steps and shows how ultimately, all water leads back to the ocean. Evaporation - the first step is evaporation. Water on the surface of the Earth, weather it is a glass of water left out on your counter top at home for several days, or a puddle in the road, or a lake, river or the ocean, can vaporize and return to the atmosphere in the form of water vapor under 2 conditions. The water molecules may be heated either by the sun or by the stove or some other heat source, causing the subatomic particles that make up the water atoms to become excited with the additional heat energy. The additional heat energy is translated into kinetic energy as these excited water molecules begin to move more and will eventally require more space between the water molecules due to this added movement. This expansion of the space needed between water molecules causes a decreases in density since there will be less molecules per unit volume. This is why heat rises and why the water molecules will vaporize and rise up out of the body of water as water vapor and rejoin the atmosphere. Sublimation - sometimes we can have cold enough and dry enough conditions to have water molecules that are in a solid state go directly to a gaseous state without becoming a liquid. For example, water molecules are in a solid state when they are frozen. Water molecules frozen in the form on ice or snow can return directly to the atmosphere as water vapor on a cold dry day. Condensation - The water molecules rise into the atmosphere and can be swept up by air currents. Water molecules eventually cool down, which causes a decrease in density and a subsequent change from its gaseous state back to a liquid state. The liquid water molecules remain in the clouds until they are disturbed by air currents, particle from other clouds or simply an accumulation of enough water droplets to cause our next step... precipitation. Eventually the liquid water droplet accumulating in a cloud will be too much for the cloud to bear, and the water droplets will fall from the cloud in the atmosphere back onto the Earth in the form of precipitation. Precipitation can be in the form of rain, sleet, snow, or hail. Some of the precipitation falls on dry land and becomes surface runoff. Surface runoff pools into fresh water lakes or return to the ocean. Some of the precipitation becomes groundwater, entering the soil though infiltration. Some of this goes to replenish springs and aquifers, and the rest returns to the ocean. 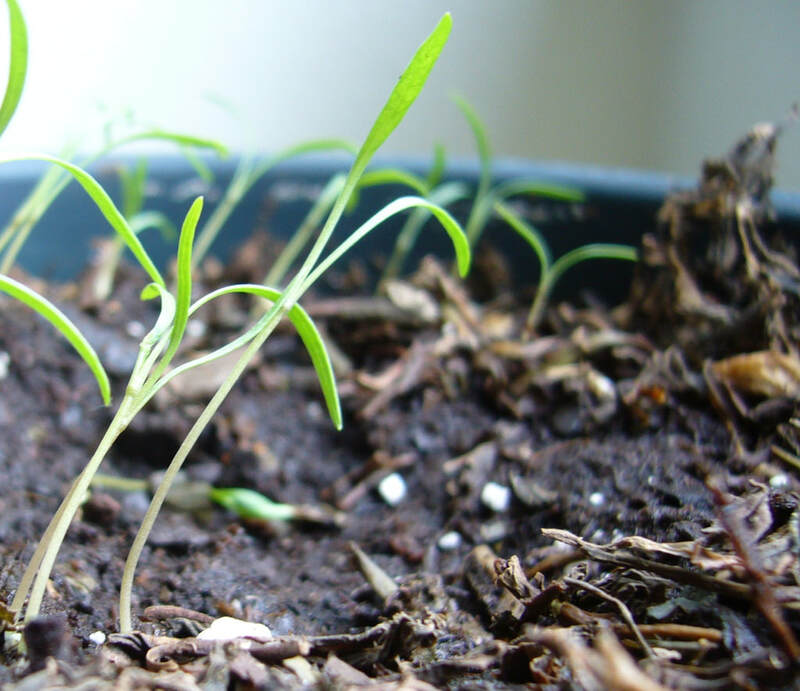 ​ - Soil can absorb water until their pores are full. 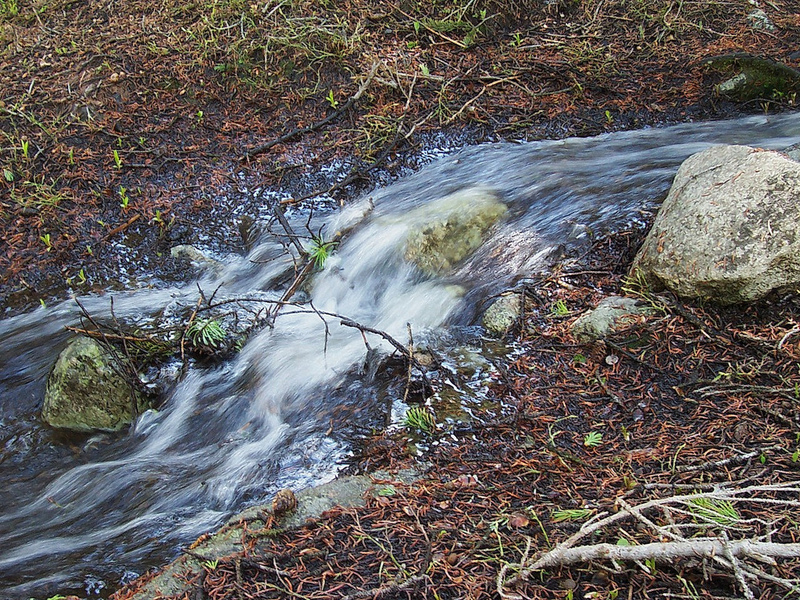 Much of this water will be retained, despite the influence of gravity. The process by which soil absorbs water and water drains downwards is called percolation. ​​ The soil's ability to retain water is strongly related to particle size. Clays retain more water than sand or silt, because the water molecules hold more tightly to the fine particles of a clay. 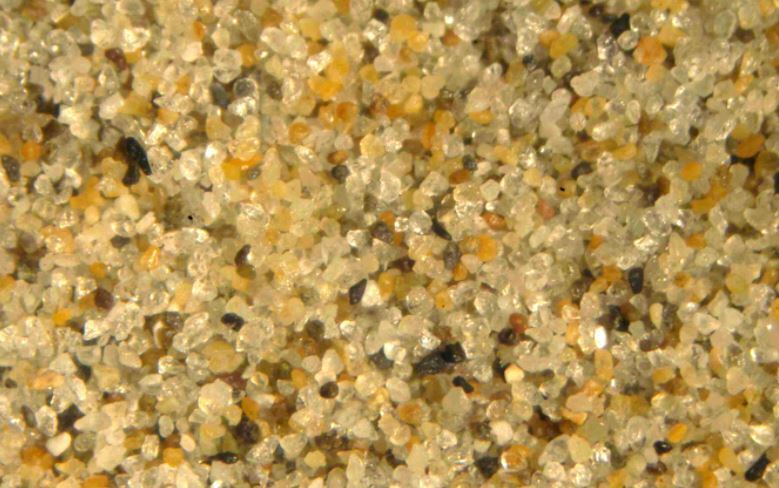 Sands provide easier passage (or transmission) of water through. Clay type, organic content, and soil structure also influence soil water retention. The maximum amount of water that a given soil can retain is called field capacity, whereas a soil so dry that plants cannot liberate the remaining moisture from the soil particles is said to be at wilting point. "Retention of water" in soil science, refers to the amount of water the soil retains. The retention of water is due to the amount of available surface area of the soil's particles. "Absorbance" in soil science is the ability of water molecules to cling to the soil particles. When a soil absorbs water, the water becomes temporarily trapped in the spaces between the soil particles. 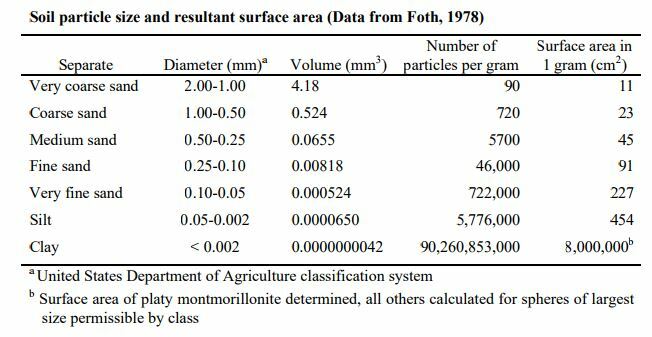 Given a particular sample of soil, the smaller the particle are, the larger the surface area. More surface area means more water absorbance. Water molecules hold onto the soil particle using ADHESION. ​Sand - Sand has large soil particles and large interstitial spaces. Very few water molecules will be absorbed and almost no water will be retained. The rate of percolation would be very high. This is not good for plant-life. Silt - Silt has small particles and a large surface area for water molecules to adhere to. The interstitial spaces are small, yet plentiful and are large enough to house water molecules. Percolation through silt is slow, which means nutrients are able to be taken up by water and delivered to plants. Clay - Clay has very small particles, but has almost no room for water molecules in the interstitial spaces! This means absorption is poor in clay. 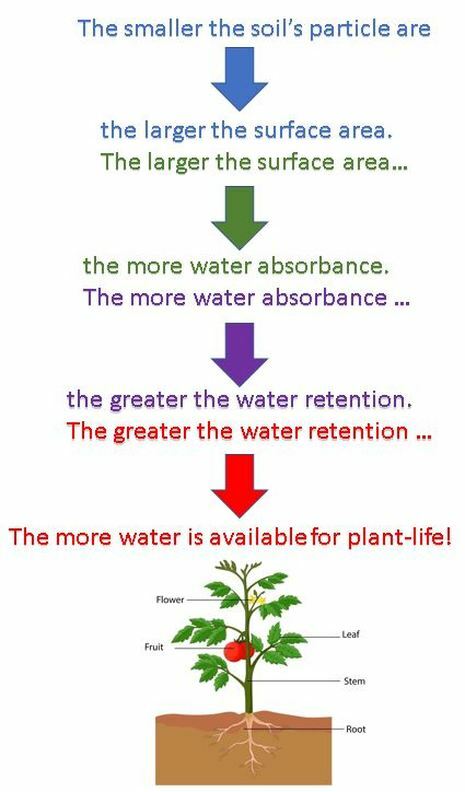 Since absorption is poor, water is not retained and plants don't grow well. 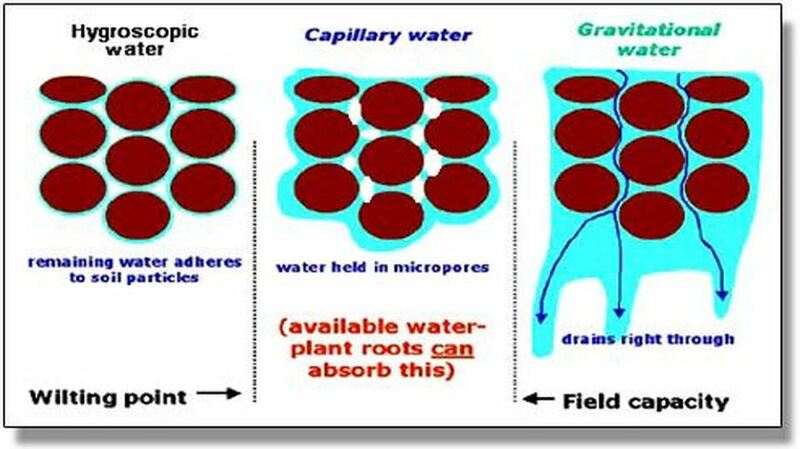 The water molecules that are able to enter the interstitial spaces in the clay are held tightly by CAPILLARY ACTION and adhesion and percolation occurs very slowly, if at all. 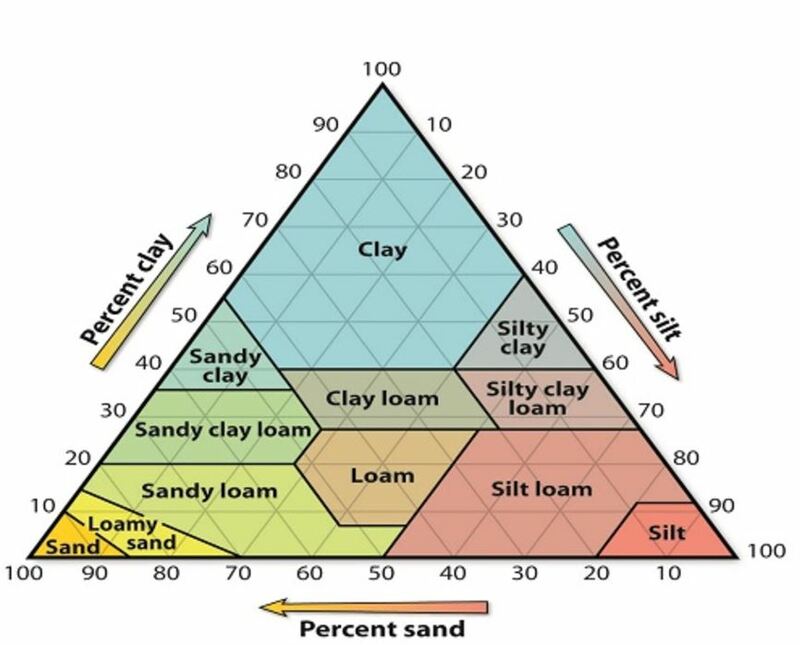 Loam is soil mixture composed of about 40% sand, 40% silt and 20% clay. 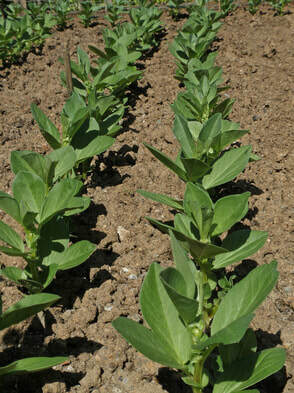 Loam is considered the best soil type for growing plants and crops. Loam retains nutrients well while allowing for good percolation. 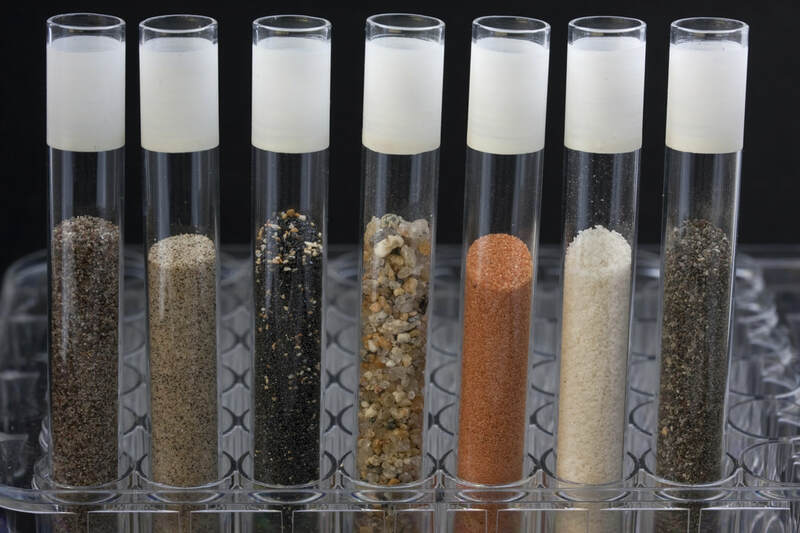 A soil dominated by one or two of the three particle size groups can behave like loam if it has a strong granular structure, promoted by a high content of organic matter. However, a soil that meets the textural definition of loam can lose its characteristic desirable qualities when it is compacted, depleted of organic matter, or has clay dispersed throughout its fine-earth fraction.